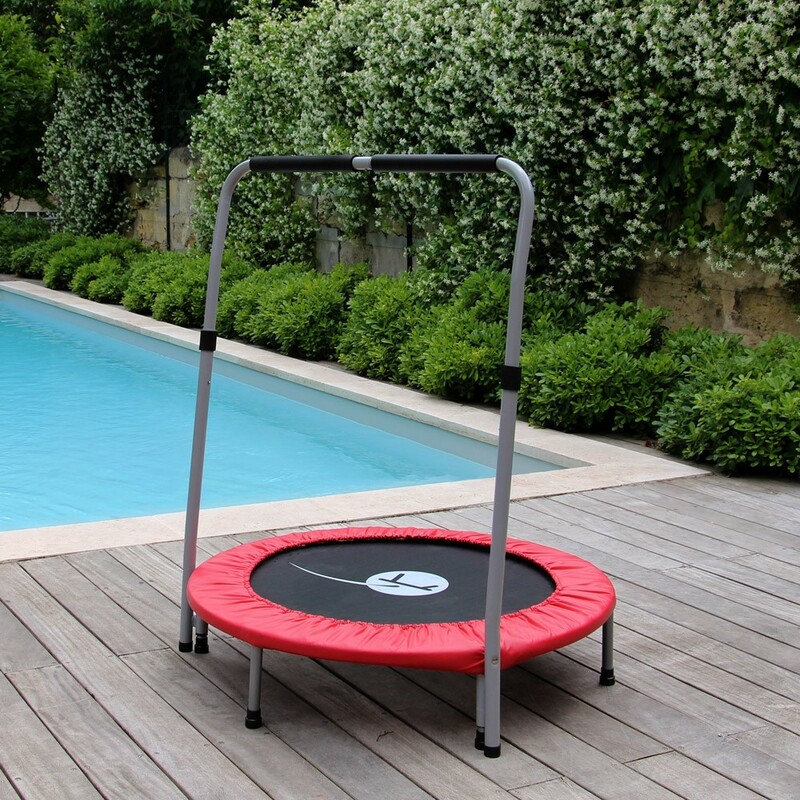 Minimax fitness trampoline with handrail. 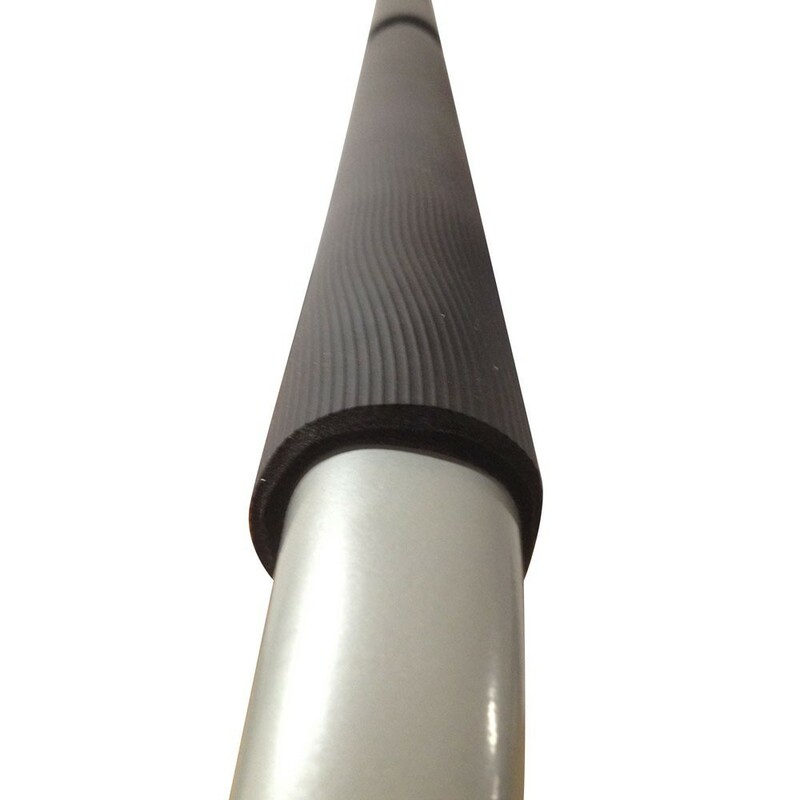 Shipping starting at 6.99€ in France* . Shipped within 24h if ordered before 11 am. 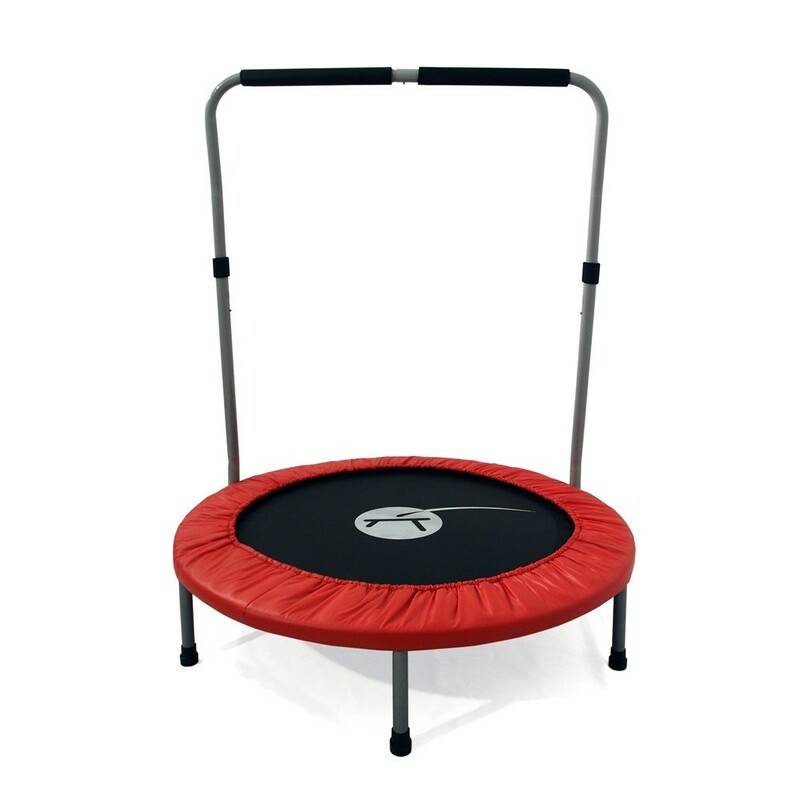 This Minimax fitness trampoline will let you work out or do physiotherapy exercies. 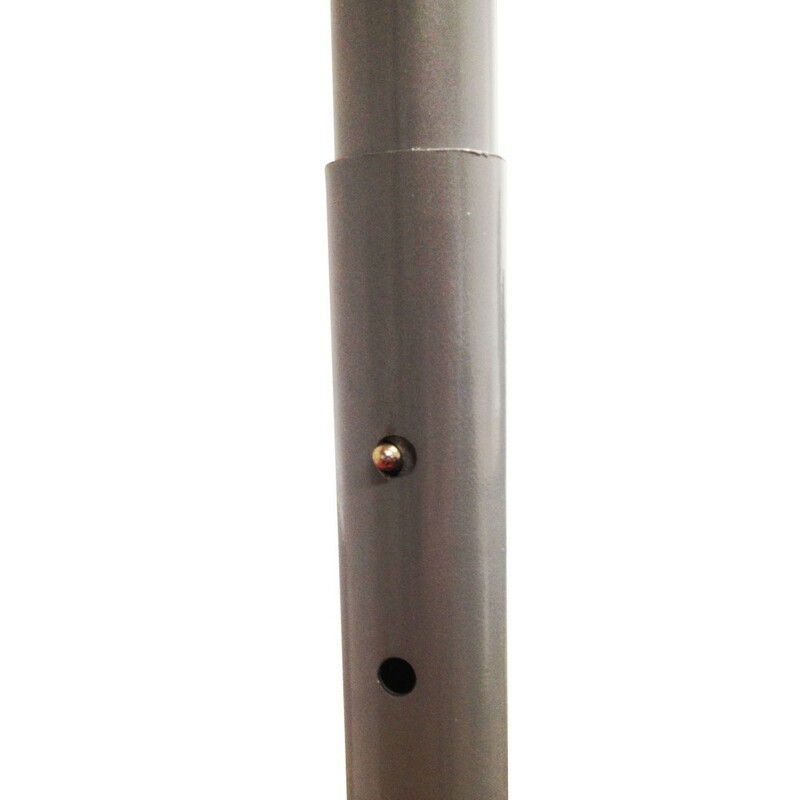 Delivered with a handrail measuring 1.30 m high, the user can hold on to it to keep his / her balance and jump safely. 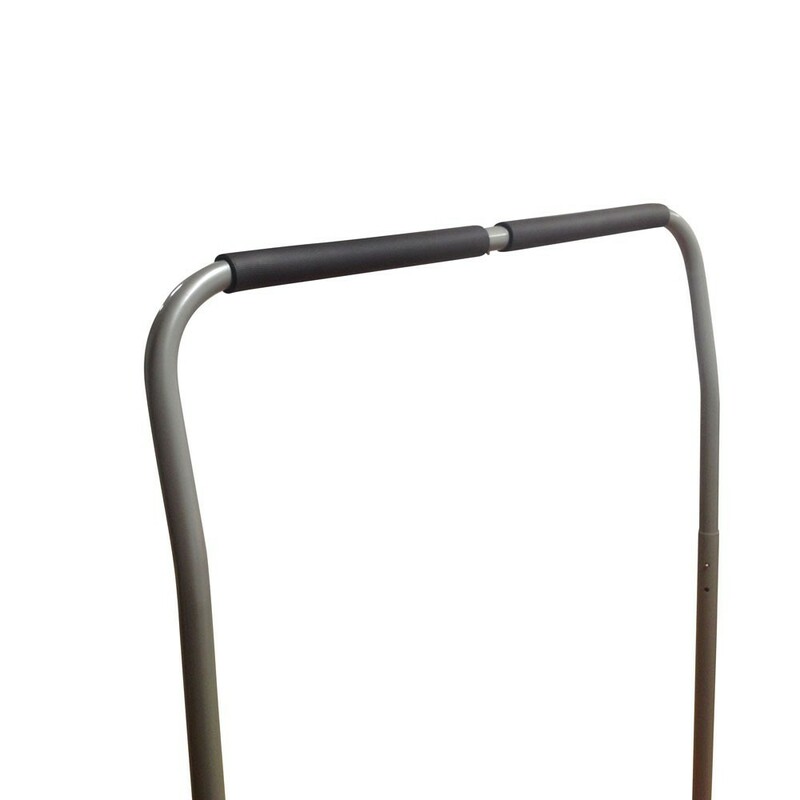 The trampoline and handrail are particularly appreciated in rehabilitation sessions: even with diminished motor coordination, a user can hold on to the handrail and work on the assigned exercises. 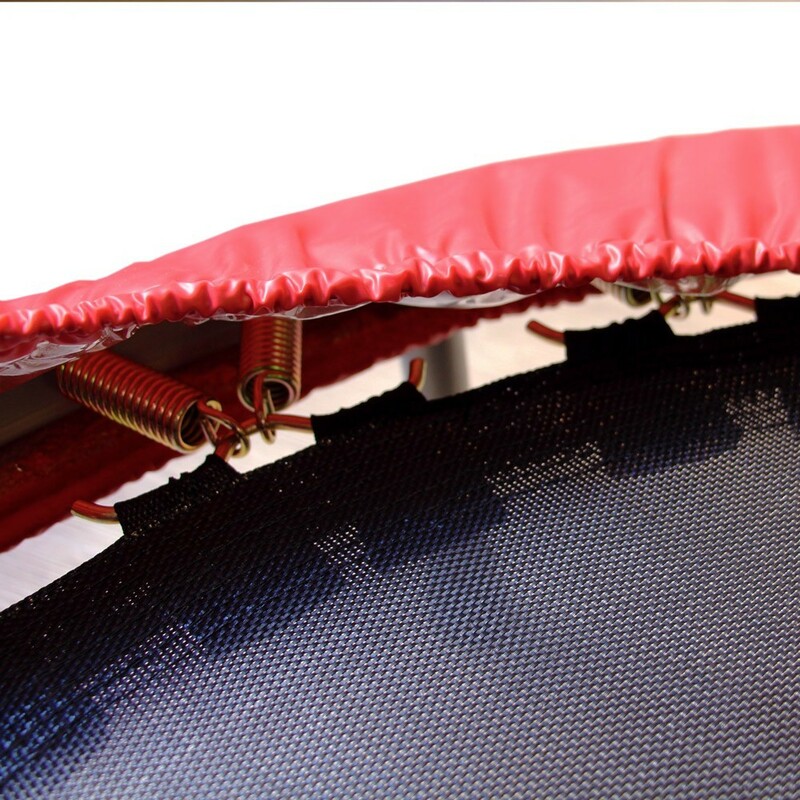 - A high-quality jumping mat, treated against UV rays and bordered by 36 88-mm springs to allow you to do sequences of small dynamic jumps. 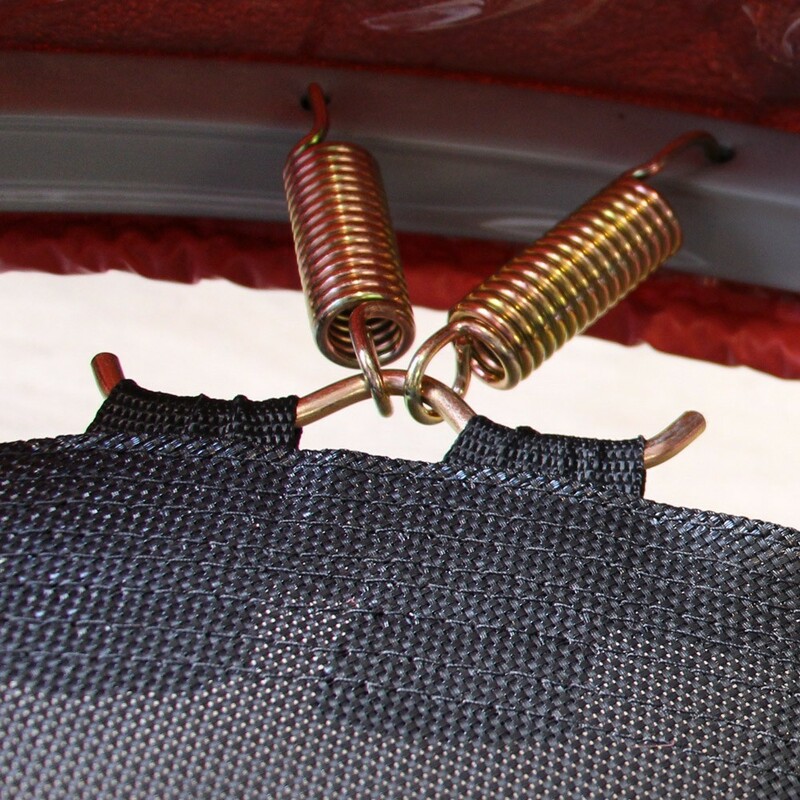 - For maximal protection, the springs are covered with a red reinforced frame pad. 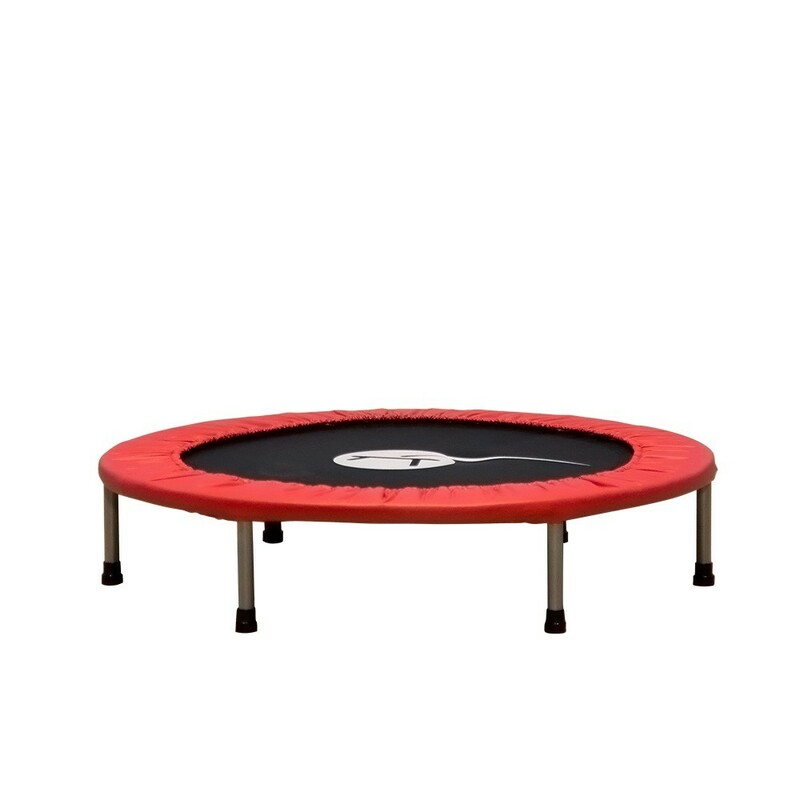 - A piece of compact equipment: with a diameter of 102 cm, a height of 20 cm, and removable legs, this fitness trampoline is easy to store when not in use. 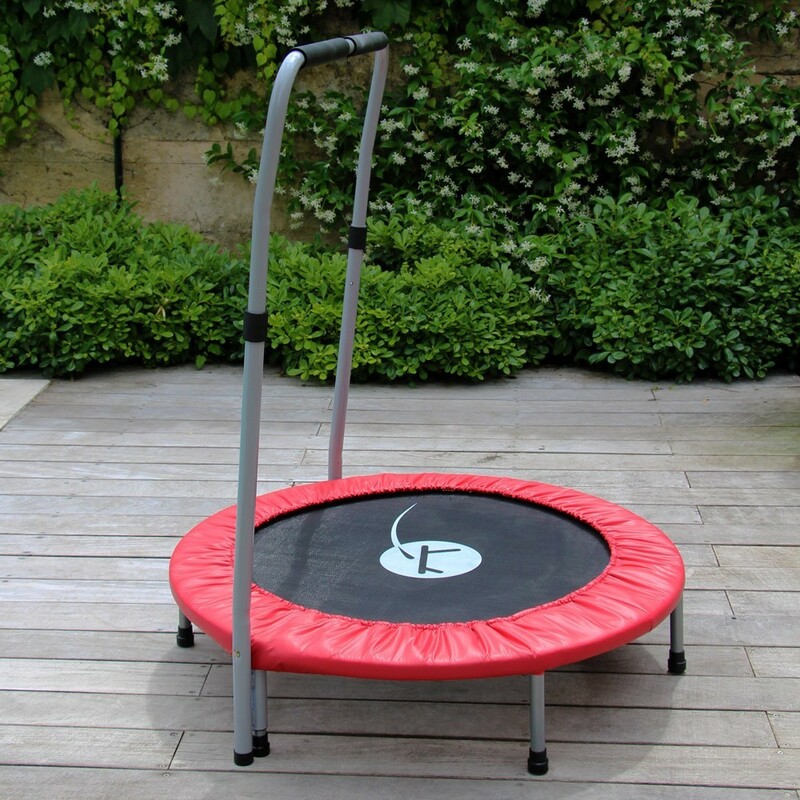 - The trampoline frame can withstand a maximum weight of 60 kg. 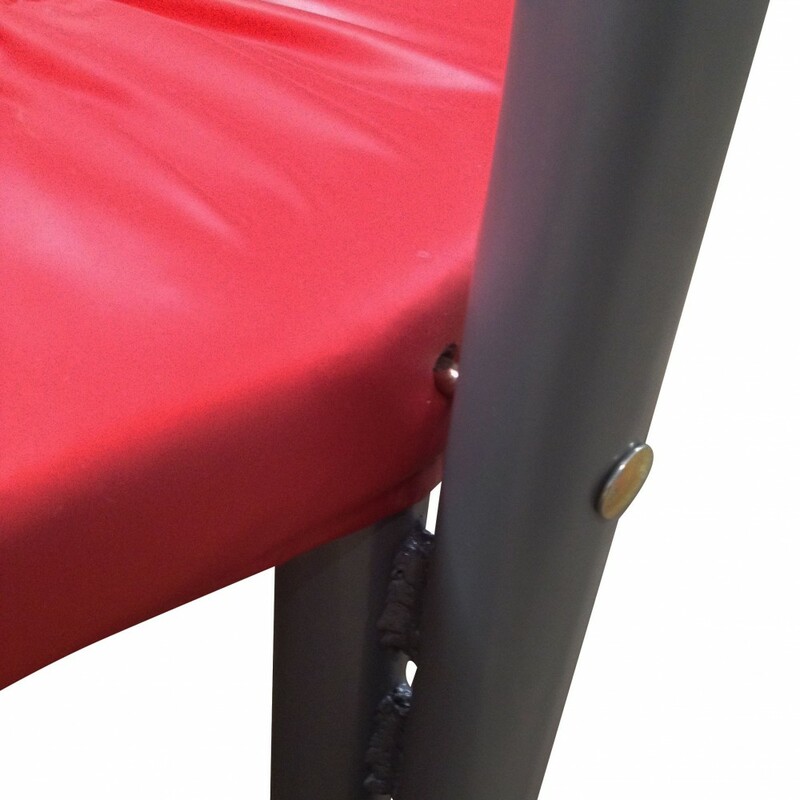 - The handrail measures 130 cm high, and holding on to it while jumping relieves pressure on the jumper's bone joints. 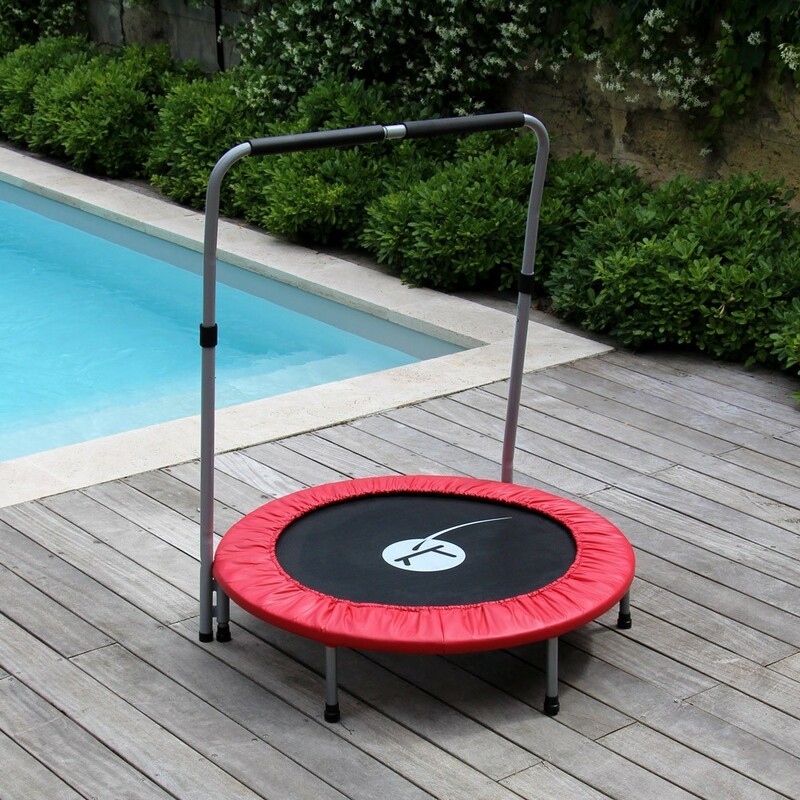 - This trampoline is designed for indoor use only. 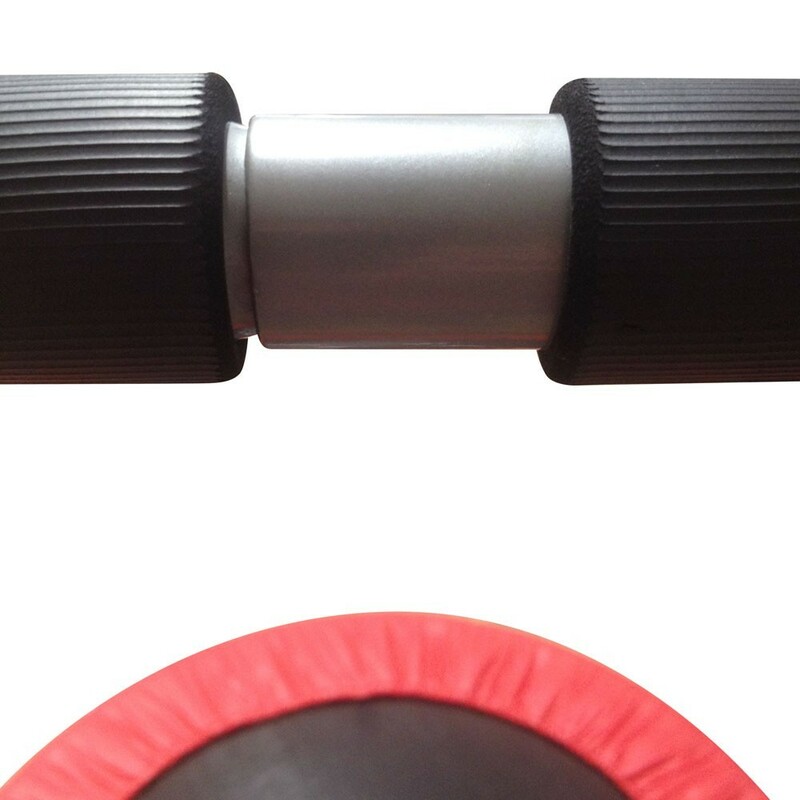 - Are you a fitness oach or instructor? 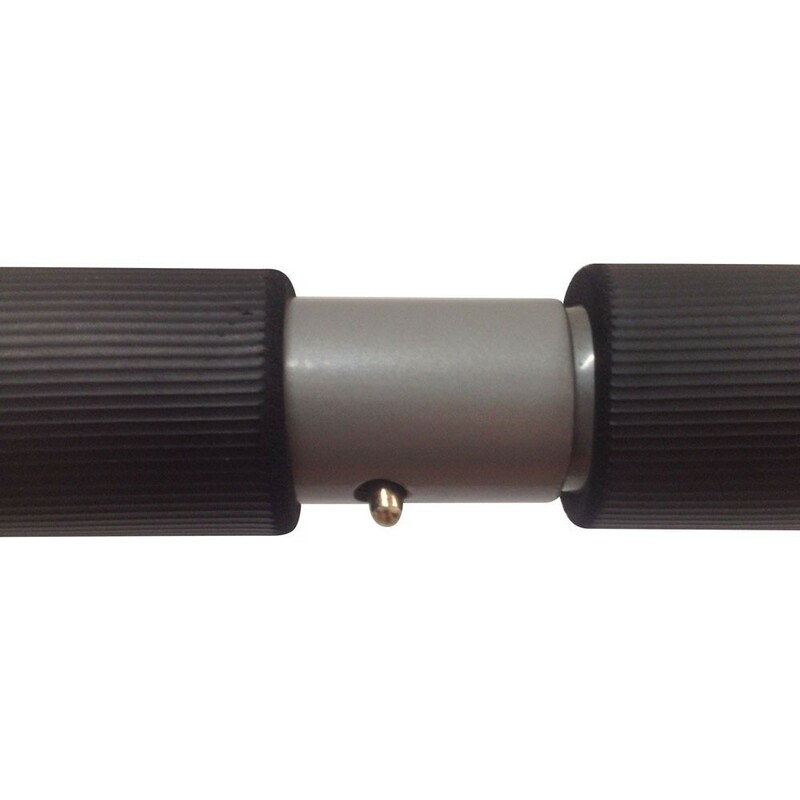 The Minimax Pro will be better-suited to intensive use. 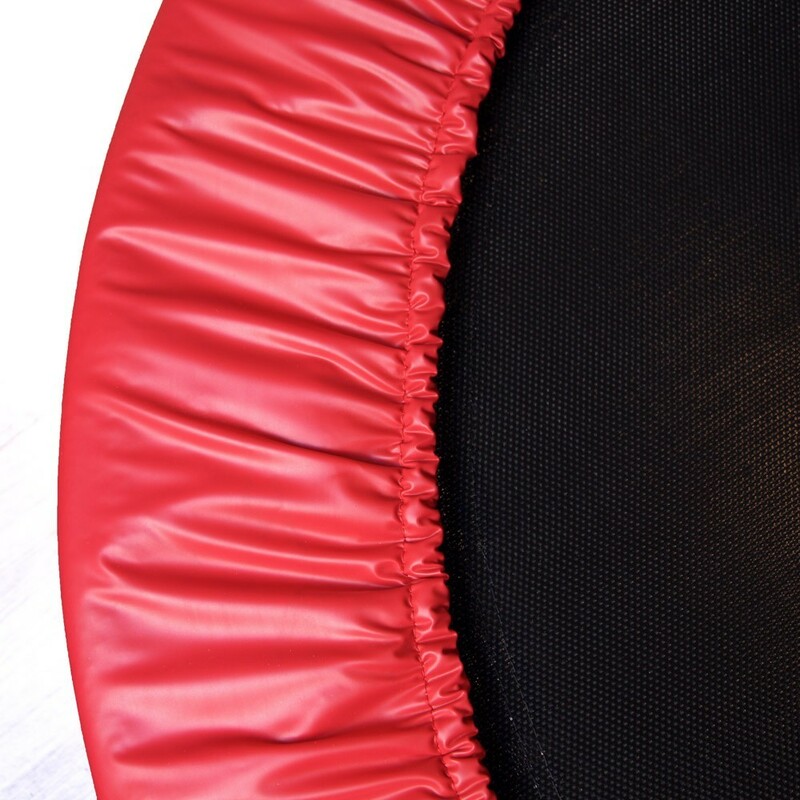 The trampoline's jumping mat is held in place by 36, 88-mm springs, allowing you to jump gently, and do your fitness exercises and workouts. 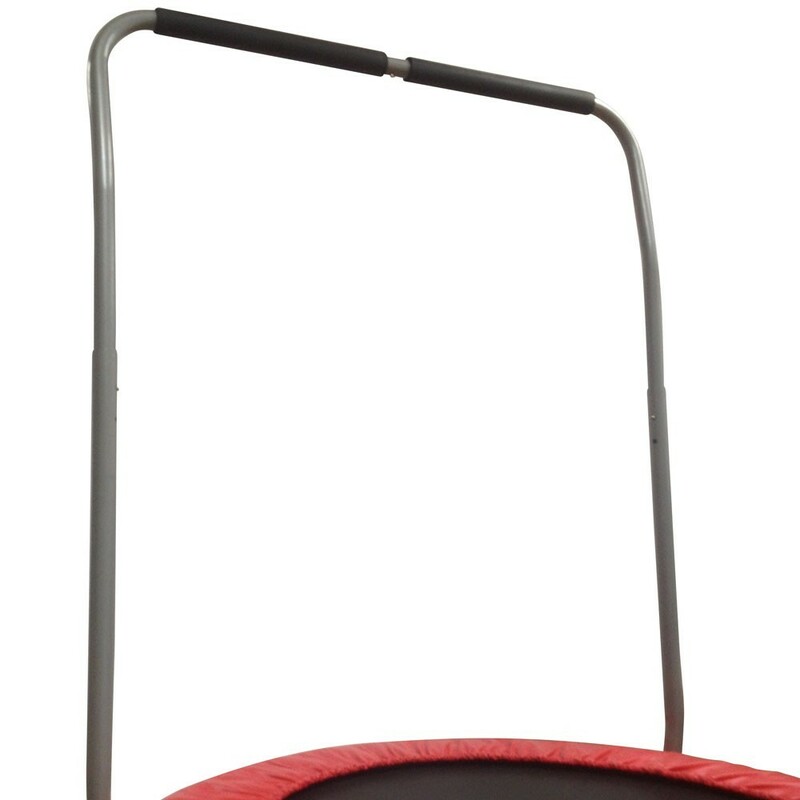 The minimax is often used in physiotherapy sessions.